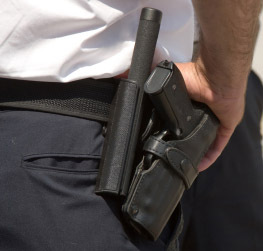 These courses meet or exceed the Mandated State of Georgia certification requirements for Board Rules 509-3-2 Unarmed Security Officer and 509-3-10 and 11 for Armed Security Officers. This course Includes the Unarmed 24hr State Certification as well as the 16hr Armed State Certification. Pay registration today to attend course this week! The registration deducts from the total. SIGN UP TODAY, DO NOT LEAVE THIS PAGE, YOU FEEL GOOD ABOUT THIS WEBSITE, YOUR IN THE RIGHT PLACE, PAY THE REGISTRATION TODAY, WE RECEIVE YOUR MONEY TODAY!! Become a State Certified Armed Security Officer, Apply for your Blue Card through a licensed agency after completing this course. Taught by a Georgia Board Certified and Licensed Instructor. This Course includes the 24hr Basic Security Officer Training and the 16 hour armed training required to become a certified armed security officer in the State of Georgia. Course cost does not include firearms rental, ammunition or extended range times. The registration deducts from total, balances are due at the training location. READ. YOU MUST BRING IN A CRIMINAL BACKGROUND CHECK FROM A LOCAL POLICE OR LAW ENFORCEMENT AGENCY. PLEASE GIVE A COPY TO THE INSTRUCTOR ONCE YOU HAVE YOUR CLASS SCHEDULE. REGISTRATION FEES MUST BE PAID BEFORE YOU CAN BE SCHEDULED FOR A CLASS. Refund Policy If you do not receive your training or certification due to instructor error, delay or instructor not completing the training , that specific instructor is responsible for your refund of the amount that was paid directly to him / or her. Student cancellation of course must be received in writing within 24 hours after registering for any course on this website. We incur certain expenses administratively when registering and scheduling you for a course. All sales are final, with the exception of rare cancellation request. Any authorized refunds may take up to 15 days for processing. Thank you! Please complete the form below after paying registration, thank you and we will see you in class soon! X By submitting my information, I agree that I have read the instructions on this page and confirm that I understand that www.georgiasecurityagency.com is not the instructor or facility but a marketing website for certified instructors.